Our organic kids' bed sheets consist of fabrics that breathe well, reduce overheating at night like organic cotton sheets to fast drying bamboo sheets. Given we sleep 1/3 of our lives, consider certified organic cotton twin or full size bed sheets to reduce your exposure to everyday toxic chemicals while you sleep. 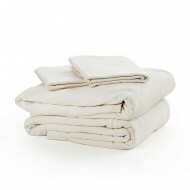 Our organic flannel kid bed sheets are made in the USA and made without bleach. 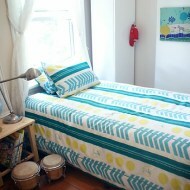 Our organic jersey bed sheets are made in Quebec, Canada. FAQs eg., What if I'm allergic to latex, dustmites or wool? What does percale bedding feel like? What makes our bedding organic? 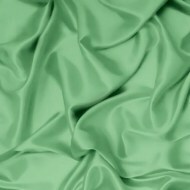 Are you curious about trying bamboo sheets? When you jump into bed, what do you like the feel of?